Summary: Set against the backdrop of a grieving suburban family in the US, Louder Than Bombs deals with the issues of infidelity, insecurity, memory and identity. 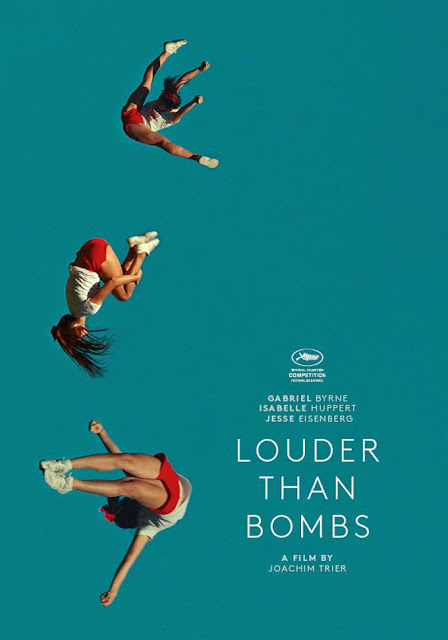 Louder than Bombs is Joachim Triers’s entry in the main competition at Cannes this year. This is a film about familial bonding in the midst of infidelity, insecurity and the banalities that accompany family structures. Set in America, this story is about Gene (Gabriel Burns), wife Isabelle (Isabella Huppert) and their two sons, Conrad and Jonah. Isabella is a war photographer who dies in a freak car accident near home. Gene is left to take care of his teenage son Conrad while older son Jonah has just become a new father. What follows is a family saga that slides into teenage eccentricities and adult oddities. As if fanning the flames to this fire, there is a rumor that Isabella may have committed suicide. An extra marital affair that she had is also brought to light. Joachim Trier’s prior two movies Oslo, August 31st (2012) and Reprise (2006) have won many awards including Toronto, Istanbul, Rotterdam, Milano and Karlovy Vary. This led him to be named one of Variety’s 10 Directors to Watch in 2007. Oslo August 31st premiered in the Un Certain Regard section of the Cannes Film festival 2011. The film received critical acclaim and was featured in many top ten lists for 2012. Identity and memory are what he considers the two main themes for cinema and he focuses on these two primarily. 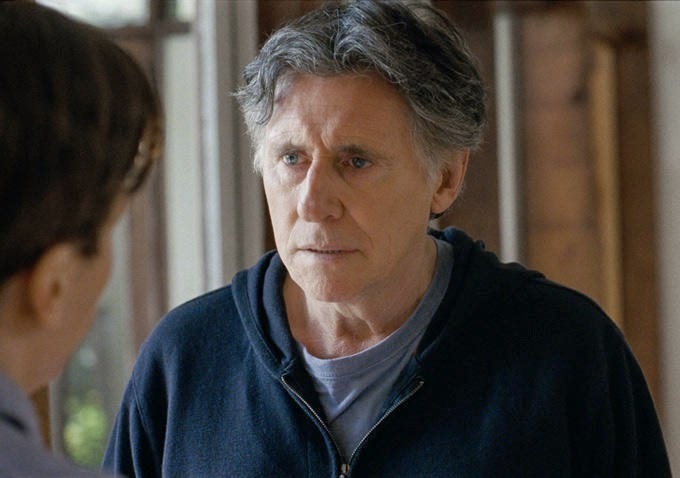 Louder than Bombs is set up in the first few minutes with one of the main characters, brother Jonah, outrightly lying to an ex-girlfriend who he bumps into in a hospital corridor where he just had a baby with his present girlfriend. This scene sets the tone for the movie where truth hardly matters and eccentricities and profundities rule for everyone. Gene tries to keep finding his own way while the truth is revealed about the extra marital affair of his dead wife Isabella. 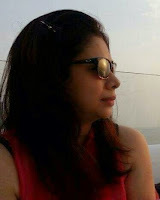 The fact that she may have also committed suicide looms over the family though younger son Conrad is unaware of it. And all this occurs within the boundaries of a somewhat normal family. 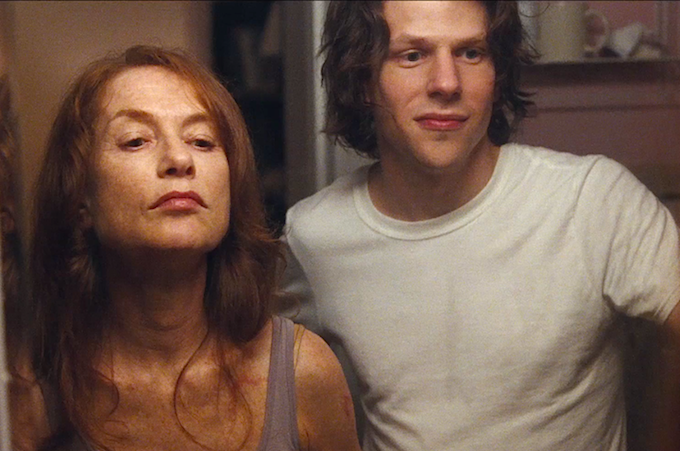 Joachim Trier has essentially portrayed a slice of suburban family life in the US going through the pangs of bereavement and has injected marital infidelity into it. Isabella is dead and we all grieve for Gene and his family. But as we discover that Isabella also had an extra marital affair, we instantly toss out all semblances of morals and ethics as we start this journey through Joachim’s film. He adds to the drama with an awkward teenage son Conrad who is all out to swear profundities at his dad or just be a sullen angry teenager. Themes of shame, anger, hurt and guilt play on and on throughout the film. There is internal acceptance of the lies but life just goes on with more lies and covers. The film is non-linear and the scenes with Isabella are constantly woven in to unfold the story. Joachim builds empathy for all the characters even if the midst of their lying. This lets him take the film to the next level of storytelling where he questions whether there is any real reason to tell the truth. If this family’s universe functions fine with some truths being held back, then so be it. Morality and human judgment is not his to seek in this story. Memories are also something that he has extensively worked with in this film. Externally, Isabella was a different person to each of the other three characters—sometimes a good mother, sometimes absent, and sometimes slightly depressed. Internally even her memory graph kept changing as she was constantly playing different roles for different people including her lover. Joachim straightaway questions identity through his meandering into the memory graphs. And as she keeps questioning herself, she is led into severe questions of identity because of which she may have taken her own life. Or did she really? We never really know. 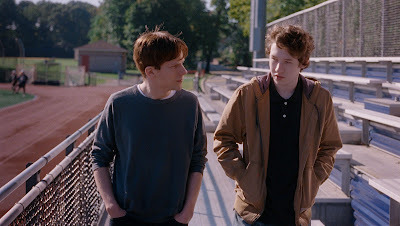 The younger son Conrad (played by Devin Druid) is the awkward, silent, lurking American teen who aspires to hangout with the cheerleader and also writes and collates random literary and non-literary articles. His randomness injects humor into the film of the dark teenage variety. This keeps the film afloat through an almost zany eerie sort of wackiness. In Joachim Trier style we also get to see some literary montages done as Conrad’s expression and flights of fancy. These small scenes add a certain piquant poetry to this otherwise melancholic slice of life film. At the recently concluded press conference for the film, Joachim Trier said: “We are interested in human stories, we don’t start with a plot that we can pitch in two lines, different voices of the family creates one true line for a story”. All in all, Joachim has managed to create characters that are flawed but heroic. Infidelity and falsity run rampant throughout the film but so be it. It is a virtuous but dissonant familial tie that binds the father and the sons together. Their internal self deals with the conflict but it is muted, subtle and serene. Silence in its totality is hence louder than noise and louder than the bombs.